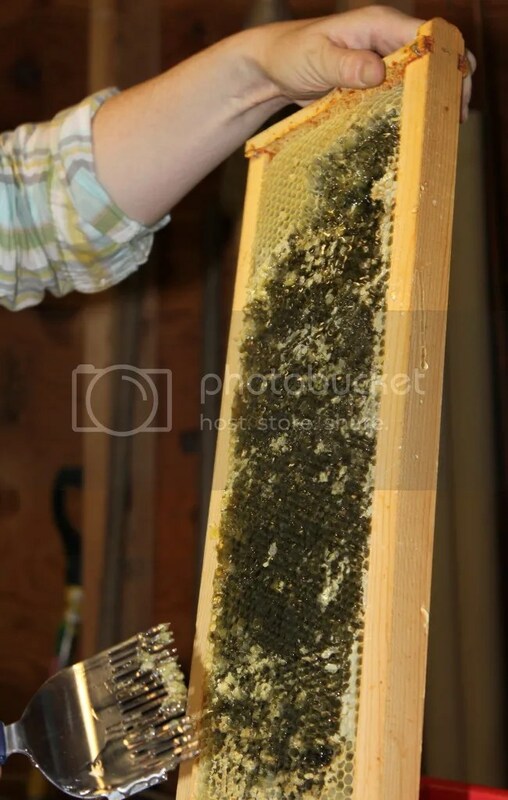 Saturday we had an extraction party–a few new, local beekeepers came to my house, where my 20 frame extractor was set up. Together we extracted two supers of honey from the Lansing yard. 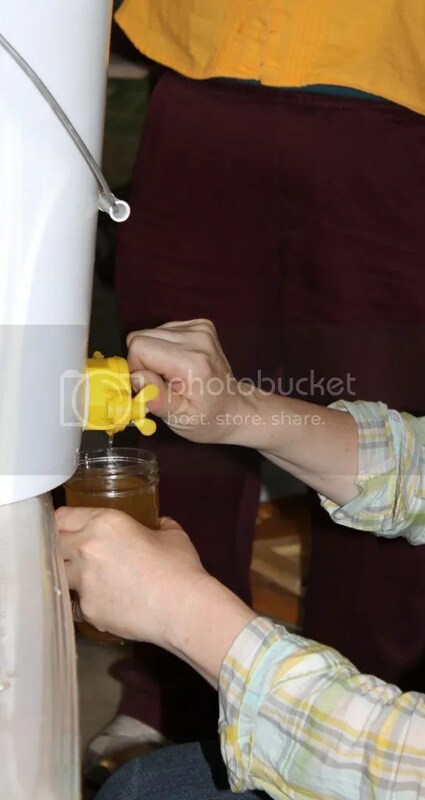 The new beekeepers learned how to uncap a frame of honey, how an extractor works, how to filter and bucket, and so on. It isn’t a complex process, but because I uncap the frames by hand, it is a time-consuming one. 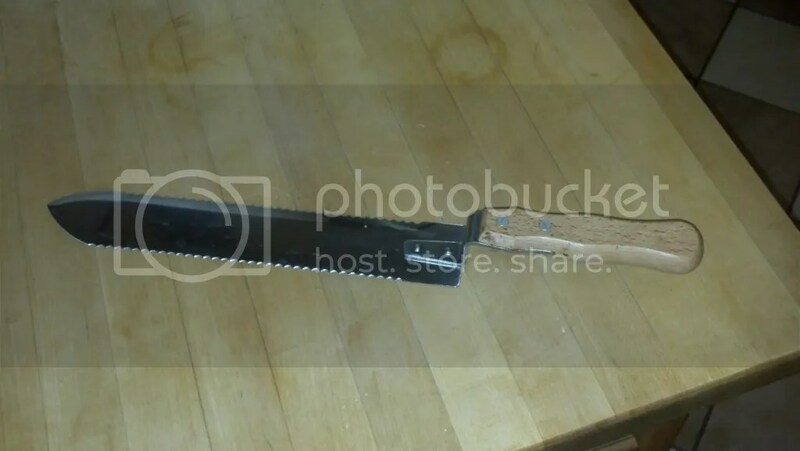 To uncap the frames, a special serrated knife is used. 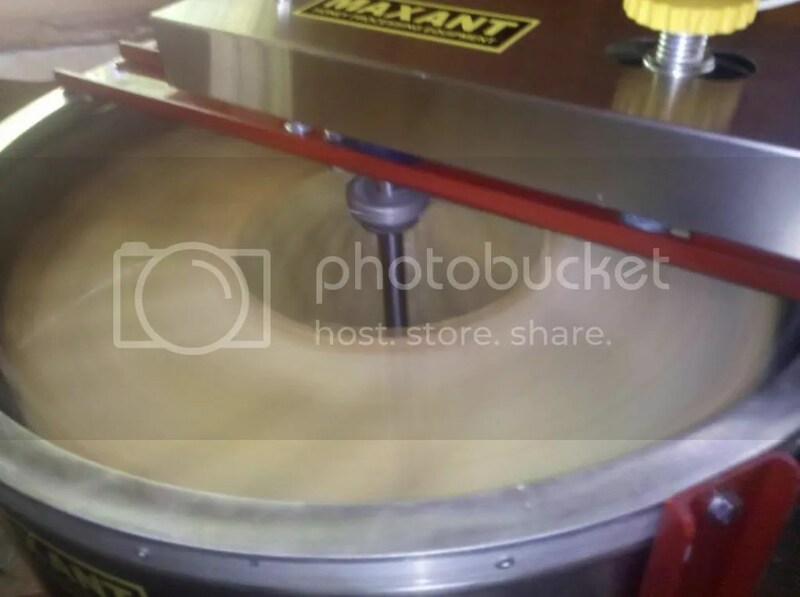 and the frame is put in an extractor, essentially, a centrifuge and spun at high speed until all of the honey is out. Finally, the honey is drained from the extractor through a filter into a bottling bucket. 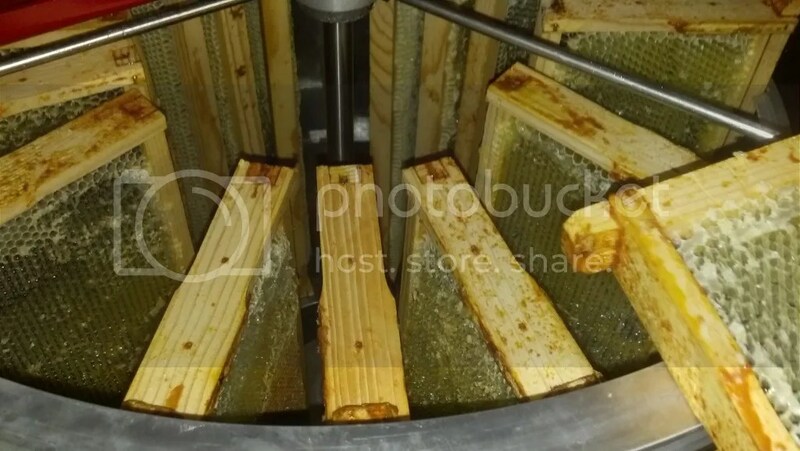 Ideally, the honey “rests” in the bucket for a day or two. Any air bubbles, or tiny wax particles that made it through the filter will rise to the top of the bucket. A spigot in the bottom allows containers to be filled. 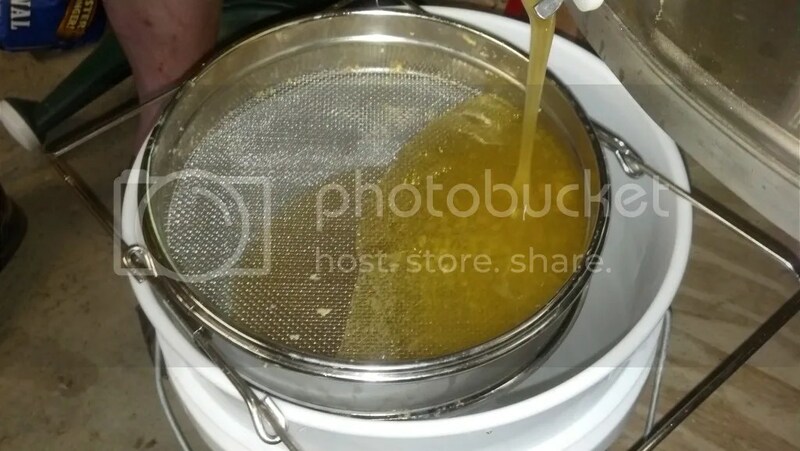 The honey we extracted is a golden-orange color, with a buttery taste. I’m not sure what the source is, but I’m hoping some of the beekeepers at our next FLBC meeting can tell me!